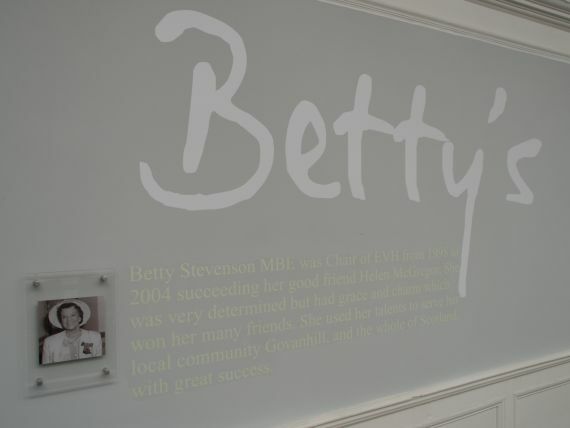 Betty's Room is named after the late Betty Stevenson MBE who was Chair of EVH from 1998 to 2004, succeeding her good friend Helen McGregor MBE. Betty was very determined but had grace and charm which won her many friends. She used her talents to serve her local community, Govanhill, and the whole of Scotland with great success. Betty’s Room is a flexible meeting space with fully integrated Audio Visual equipment included. The room can be set up in a number of ways, but we are happy to move things around and work to your specific requirements where at all possible. Even at full seating capacity of 50, there is still a spacious area to the rear of the room that can be used for teas/coffees or as a breakout space. Our room hire rates include the use of any of the Audio Visual equipment we have available that is requested in advance. The only additional charge would be for tea/coffee and any other catering requirements you may have – see “Catering” for more details. Rates are based on bookings during normal office hours (9am-5pm), please contact us if your event will be outside these times. 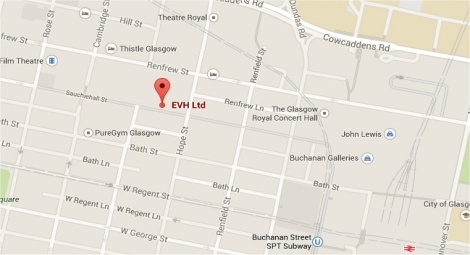 EVH members receive a 20% discount on room hire prices; £184 + VAT full day and £112 + VAT half day.